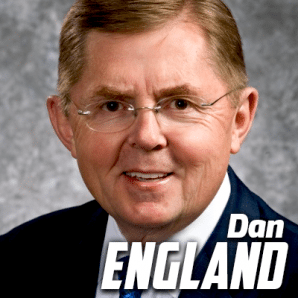 Dan England is the Chairman of the Board and a Shareholder of C. R. England Inc.
C.R. England is a privately held family company operated by third and fourth generation members of founder Chester Rodney England’s family. 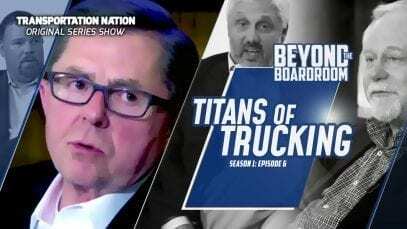 Mr. England is also the past Chairman of the American Trucking Associations, the largest national trade association and advocacy organization for the U.S. trucking industry. He served as chairman from October 2011 until October 2012. Established in 1920 in Plain City, Utah, C.R. England has grown from a simple one-man Utah-based trucking company to more than 7,500 drivers and employees, meeting the world’s transportation needs throughout the United States and Mexico. Overall, the C.R. England umbrella comprises many different business units and $1.5 billion in annual revenues. C.R. England is one of the top private employers in Utah. Mr. England earned a bachelor’s in political science (1971) and a juris doctorate (1974) both from the University of Utah. In 1974 he entered private law practice where he specialized in insurance litigation and transportation law. In 1977 he joined the family business and became in-house legal counsel. In 1982, Mr. England was promoted to general manager, a position he held until 1988 when he became CEO. He was elected chairman of the board in 2005. His community service portfolio includes membership on the Select Health Board of Trustees, the board of Intermountain Donor Services, the National Advisory Boards of the University of Utah and the David Eccles School of Business. He has been honored as a Distinguished Alumnus by the College of Social and Behavioral Sciences of the University of Utah. In 2008, Mr. England was honored by the American Diabetes Association Father’s Day Council as Utah Father of the Year. During his tenure at C.R. England he has developed relationships with various community programs such as Utah Food Bank Services, Primary Children’s Hospital, Granite Education Foundation, Intermountain Donor Services and Make-A-Wish Foundation.